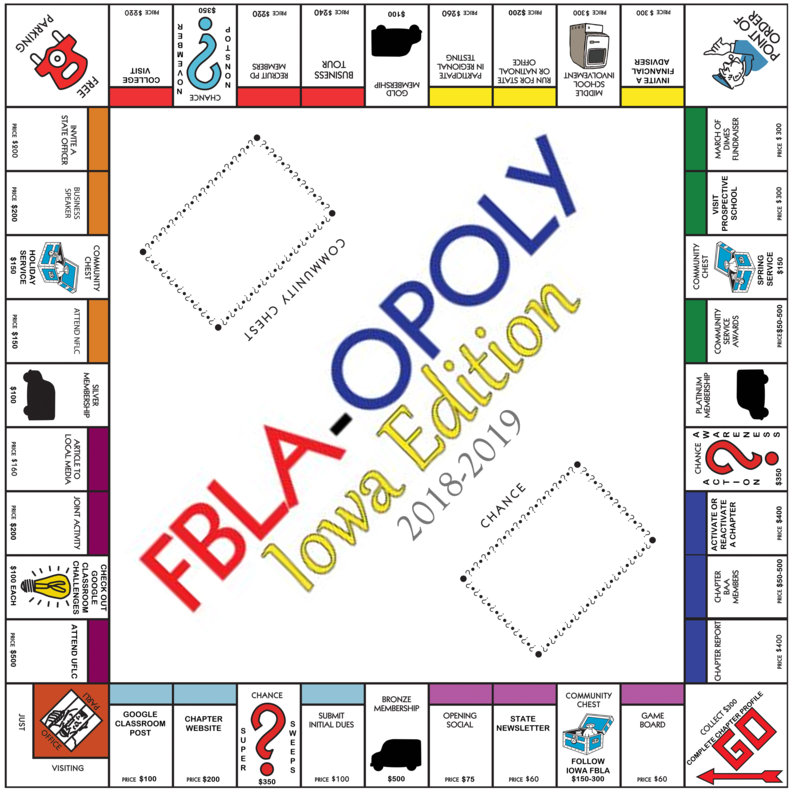 FBLA-OPOLY Iowa Edition is being continued by the 2018-2019 State Officer Team for local chapters to compete in with some exciting changes. This program provides chapters with ideas to get their chapters more involved in the FBLA organization and a chance for additional recognition at the 2019 State Leadership Conference. Most submissions can be done by designated members of the chapter. The resources and submission links below are everything a chapter needs to Create, Lead, Inspire with this exciting program! All links to our monthly Community Chest or Chance activities to earn your chapters more FBLA-OPOLY money are posted.